1, 2, 3 KVC AD by DAB are pressure units with 1, 2, 3 KVC pumps with Active Driver Plus variable frequency drive installed as standard. 1, 2, 3 KVC AD are designed for pressurization, gardening and irrigation activities in domestic and residential, civil and commercial areas and in agriculture for irrigation. The increase in water pressure through the use of vertical multi-impeller pumps limits the occupied space by the unit. 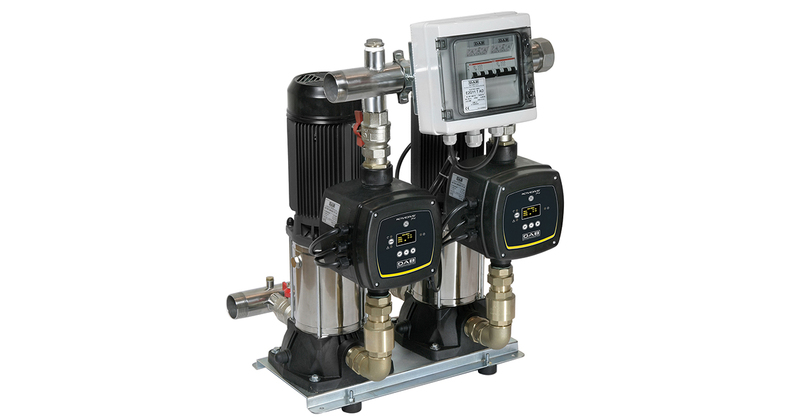 Each KVC pump is equipped with its own Active Driver Plus variable frequency drive which allows energy savings and easy configuration thanks to the display. Each unit includes an expansion tank, which together with the vfd protects against water hammer. WRAS certified drinking water group. Possibility of remote control thanks to the D.Connect service (D.Connect Box supplied separately). Operating range: from 0,5 to 36 m3/h. Liquid temperature range: from 0°C to +40°C.